Hi there, welcome to my website! I am not Steven Spielberg but a professional actor and Look-A-Like / impersonator. My real name is Howie Slater. I have posted a reel with clips of some of my professional work where I’ve impersonated Steven Spielberg on television, film and commercials. Browse the gallery to see a few photos of me as Steven, working with other celebrity look alikes: “Elton”, “Liz Taylor”, “Judy Garland”, “Hillary Clinton” and others. 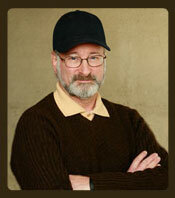 Now that you are convinced that I really do look like Director/Producer Steven Spielberg, please contact me.